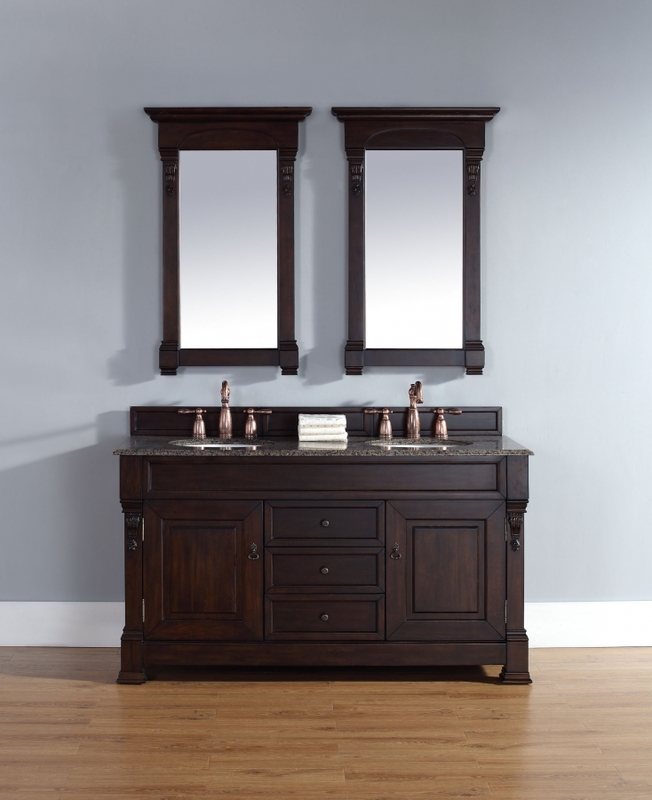 The dark burnished mahogany finish of this double sink vanity base adds a bold look to the clean lines of the transitional design. This will be a welcome addition to the dÈcor of the space, just as much as the great functionality that is brought to the space. 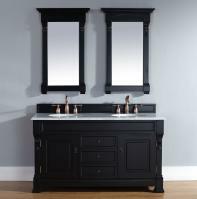 The large size of this piece, at five feet in length and about two feet deep, offers plenty of spaces for storage and organization. The three drawer bank in the center is convenient and the two cabinets have an interior shelf that will be very handy as well. 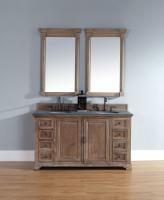 The antiqued brass hardware pulls stand out beautifully against the dark tone of the wood, adding to the decorative touches. The counter top can be any one of an number of colors and materials. 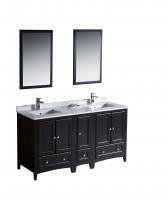 It is easy to select just the right one to best go with the existing dÈcor.